Today is my final day as president of The University of Texas at Austin. Serving in this office for the past nine and a half years has been the highest honor of my career, and I will miss it. Words are not enough to thank you all for the Texas spirit you have shown as, together, we have moved the University forward. And the support and friendship you have shown Kim and me has changed our lives forever. 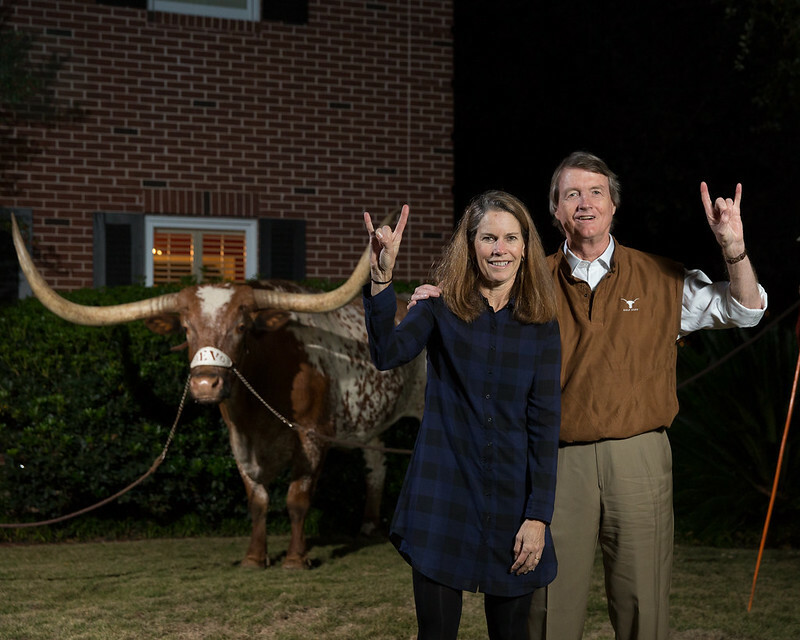 As Greg Fenves begins his service as president of this great institution tomorrow, I take comfort knowing that UT is in great hands. I am very optimistic about the future. UT will always be a big part of my life. After some time off, I will resume teaching at the law school. And I expect to see many of you at football and volleyball games, museum exhibits, and dozens of other events in the life of this amazing place. Thank you for all you have done for The University of Texas. God bless you and UT. And Hook ’em Horns!